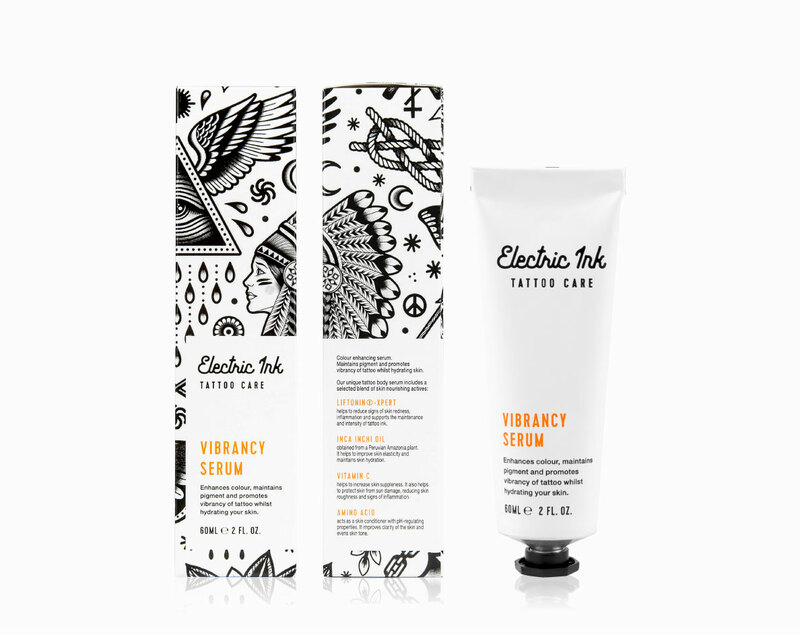 Provides a luxury and natural alternative – holding a wider variety of actives to protect and aid the recovery of damaged skin immediately after tattooing. 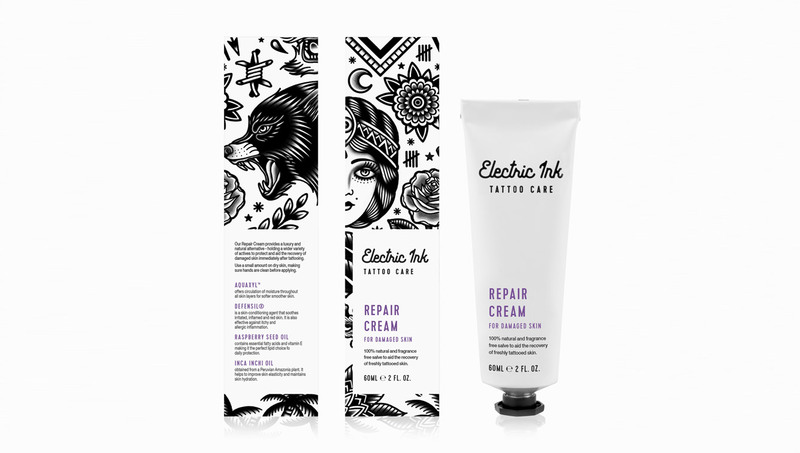 The lightweight formula isn’t too greasy, allowing your tattoo and skin to breath during recovery. Is a soothing and anti-inflammatory agent helping with protecting and replenishing the skin’s barrier. Is extracted from Chamomile and is known as a natural remedy to sensitive and easily inflamed, irritated skin. Is a skin conditioning agent and super antioxidant. Is a provitamin. 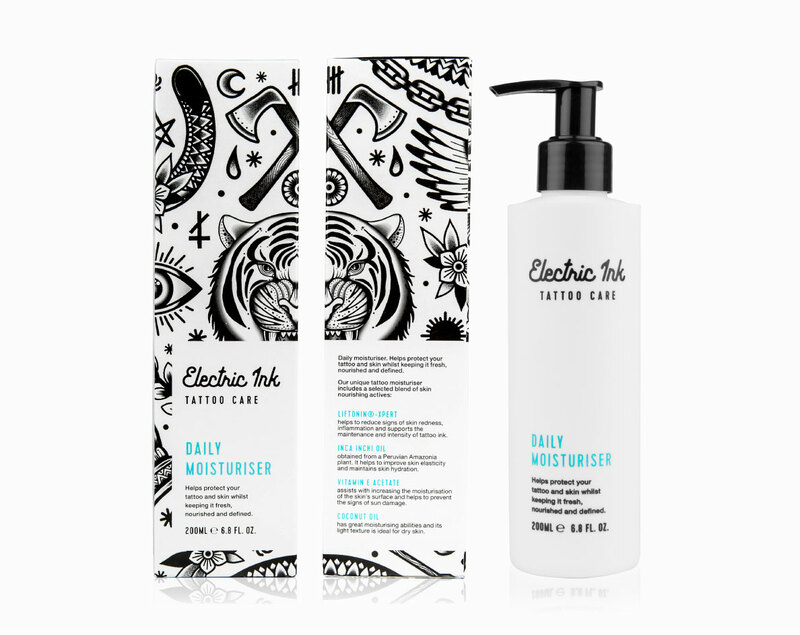 It is able to hydrate and deploy moisturise the skin from within.